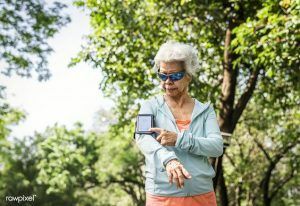 Best for Seniors explain that fitness trackers show health related metrics like sleep quality, heart rate, and steps taken. In some cases, they even help the user reach a specific health goal. This wearable gives the wearer an easy, quick, and convenient way to call for help in case something is amiss with their health. If they feel a shortness of breath all they need to do is press a button to call for attention. These wearables track the activities of seniors to establish their activity patterns. They can then identify any abnormalities that will alert the doctor to irregularities. Falls are a big concern for people in their old age, and this is where detection systems come in. These small wearable sensors detect falls and will instantly send out an alert that will bring help. Medicines are a big part of life for those already in their golden years. These devices send out notices that make sure that the medicine is not forgotten and taken at the right time. Seniors suffering from degenerative conditions need to be constantly monitored as they might wander aimlessly and get lost. GPS trackers help in this regard as they can let family members or carers keep track of them all the time. Virtual reality is helping many different industries break new ground.Coral’s article on technology’s impact on sports details how VR is now changing how professional teams train. For instance, NFL quarterbacks are now using the technology to practice additional repetitions. This very same tech is also being used to improve and track the health of seniors. VR Fitness Insider reports that virtual reality helps seniors be more active without the need to leave their home. All they need to do is put on a headset and enjoy! They will also get a digital record of the exercise session. Sure, the aforementioned health trackers may be perfect for seniors, but nothing will ever beat the attention and love that you, as a relative, can provide.